Come on, sing it with me if you know this one! It's no secret, we are total VeggieTales fans here! 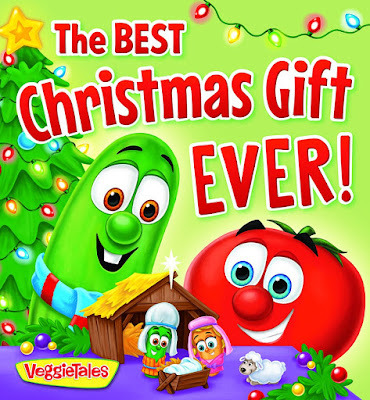 Just recently we've been enjoying a brand new book including those lovable vegetable characters to celebrate the holiday season, The Best Christmas Gift Ever. 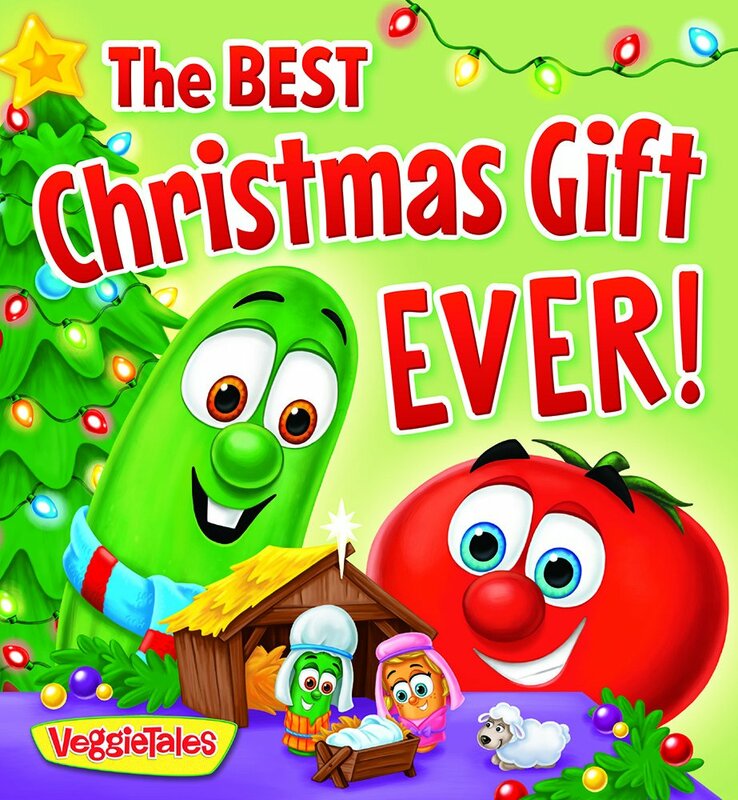 In this festive VeggieTales book, the Veggies are celebrating Christmas -- decorating the tree, singing carols, and exchanging gifts. But even though it's so much fun to give and receive presents, the Veggies all know that the greatest gift of all was God's gift of Jesus, his Son. Children will love the colorful art featuring their favorite Veggie friends. The Best Christmas Gift Ever is a sweet book that shares the many fun ways in which we all like to enjoy the holidays. It also tells children the story of Christ's birth. This is a small, sturdy board book, perfect for tiny hands (ages 2-5). The illustrations are shown with vibrant colors and include all of our favorite VeggieTales characters. From decorating the tree, to singing carols, to wrapping presents, all the Veggies are excited about Christmas. They just love taking part in the many festivities that the season brings. At the same time, they remember that Jesus is the true reason for the season and the best gift during this Christmas holiday and all year round. One of the things that I really like about The Best Christmas Gift Ever is that it includes some of our most cherished holiday activities, but also makes sure to incorporate the nativity story, so little ones don't lose sight of why we really celebrate Christmas. It's also a wonderful way to introduce Jesus to younger children.